How will those agencies fare this year in the South of France? 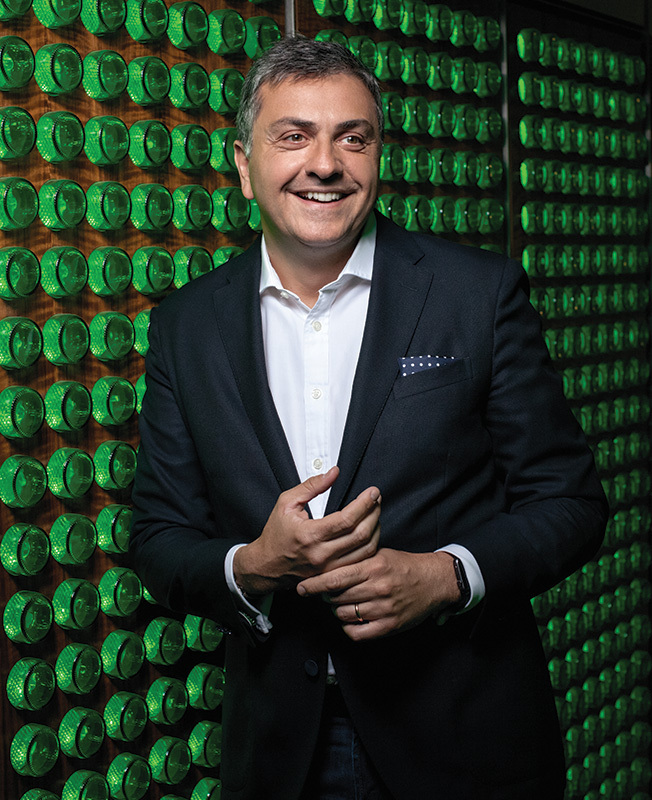 Heineken USA's CMO Nuno Teles explains how science and storytelling successfully drive sales and win awards. 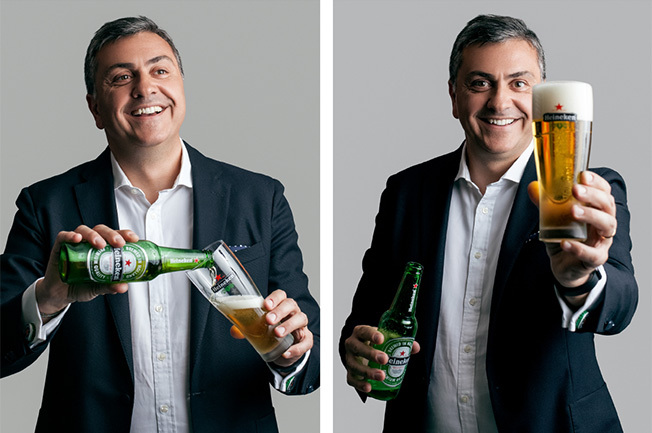 Heineken's marketing model is about creativity as well as consumer understanding, Teles says. Why do you think Heineken advertising resonates so well with consumers? We deliver outstanding creativity because we are convinced a marketing model that starts with science, insight and understanding of all that data will grow our business. But then you need to deliver it through a storytelling mystique. We call this the three-act approach, and it's not just about creativity; it has to be rooted in consumer understanding, too. What business results can you share to measure effectiveness? Heineken Light was declining by 18 percent, so we went to the science. We understood consumers would change behavior and start drinking a premium light beer if they were convinced it was indeed the best out there, which Heineken Light is—and we have the awards to prove it. [Heineken Light was named Best Tasting Low Calorie Lager twice at the World Beer Championships.] That's the science part. The storytelling happened when Wieden + Kennedy came up with the idea that if you're truly the best, we'll make a celebrity [actor Neil Patrick Harris] go off camera to drink it because he can't resist the taste. [It's illegal for a spokesperson to drink on camera in a TV ad.] Between TV and digital, we reached 35 million consumers in just three days. Now the brand's growth is up 7 percent. Our four priority brands are growing significantly faster than the marketplace. If you look at Heineken Lager, with the "Legends" campaign, it's growing 2.3 percent when the overall beer market is declining by 0.8 percent. "Legends" is seen and perceived by the U.S. consumer as completely differentiated, one of a kind, and that is driving brand reappraisal. With Strongbow, we think we will be significantly awarded this year for both the ad "Slow-Motion Horse" as well as the Patrick Stewart campaign. We were struggling with the brand and were the fourth brand in the marketplace. Now we are growing by 117 percent, five times more than the overall cider category. Another example is Dos Equis' "Most Interesting Man in the World" campaign. The insight of the consumer is they are afraid to be perceived as boring and they feel "I would rather be dead than dull." It gives them a reason to talk to their friends in the bar about those interesting stories and it's become one of the most awarded campaigns. This is another example of how an awarded campaign gives us results: Dos Equis is growing, to date, 9 percent in a [declining] market. Another important part contributing to the campaign's success obviously is the "Mexification" of America, which is a very important trend. We see general-market consumers adopting Mexican culture, so it's not just a demographic—it's not just Hispanics moving to the U.S. and growing in population and drinking more. So, again, it's creativity—but it's rooted in insights. What other trends are impacting your consumers and how you reach them in messaging?